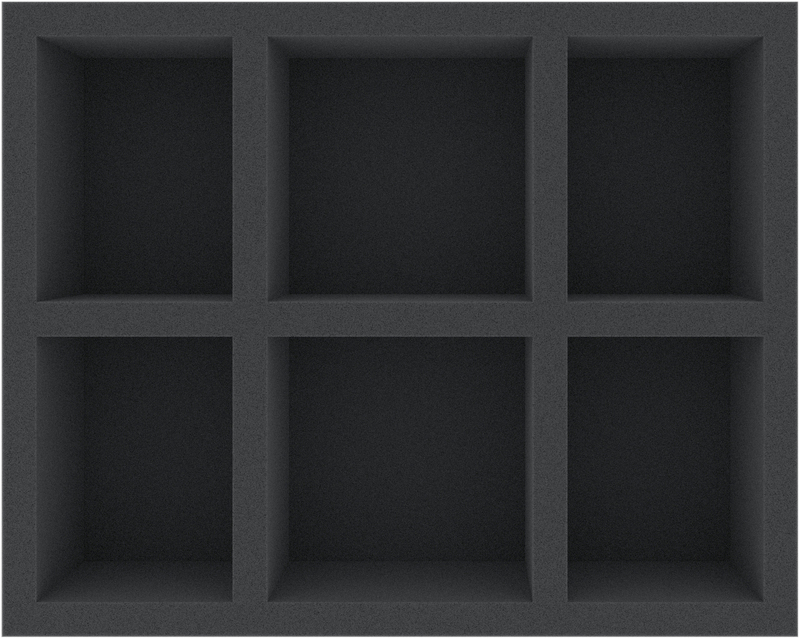 4 compartments: 115 mm long x 85 mm wide x 70 mm deep. 2 compartments: 115 mm long x 115 mm wide x 70 mm deep. 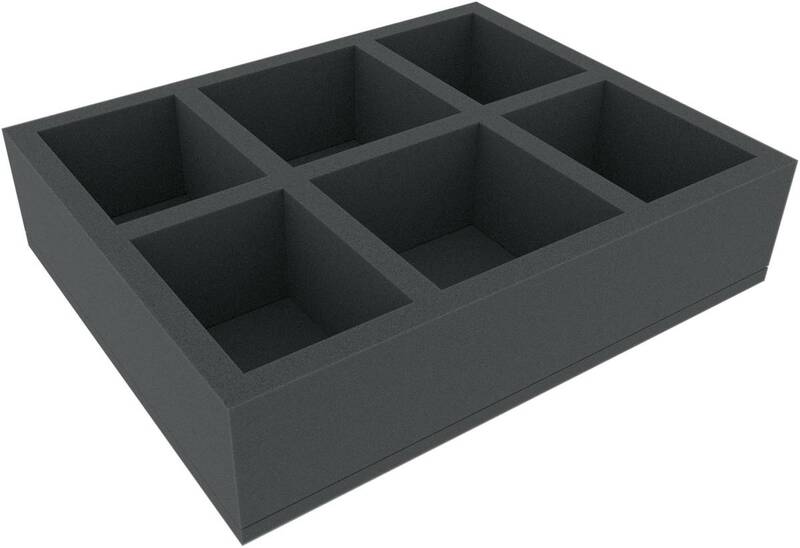 This foam tray has the dimensions: 345 mm x 275 mm x 80 mm total height (70 mm usable height + 10 mm foam base).